The Canadian Curling Association (CCA) today announced that Capital One Canada will become the new title sponsor of the Canada Cup and Pre-Trials Road to the Roar. As part of the new deal, Capital One will continue to be the Official Credit Card of the CCA and the Season Of Champions, and has pledged increased support for the popular Capital One Rocks & Rings elementary school program. The 2011 Capital One Canada Cup of Curling will be staged November 30-December 4 at the Recreation Complex in Cranbrook, British Columbia. It is now positioned as the first event in the CCA’s Season of Champions and, as such, will be the first competition to qualify the winning men’s and women’s teams directly into the 2013 Tim Hortons Roar of the Rings (Canadian Curling Trials), December 1-8 in Winnipeg. In addition, Capital One will also assume title sponsorship of the 2013 Pre-Trials Road to the Roar (site and date to be announced), a competition that will also qualify teams for the Tim Hortons Roar of the Rings, presented by Monsanto, which, in turn, will determine Canada’s representatives for the 2014 Olympic Winter Games in Sochi, Russia. The sponsorship agreement also provides for increased support for the Capital One Rocks & Rings program from both the CCA and Capital One. 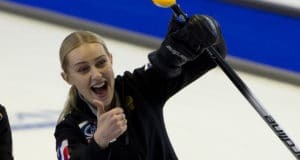 The Rocks & Rings program has grown immensely since its inception only a few years ago and has introduced the Olympic sport of curling to over 160,000 elementary school children across the country. This partnership further enhances the capacity of this unique program. The 2011 Capital One Canada Cup, presented by St. Eugene Golf Resort & Casino, features an outstanding lineup of seven men’s and seven women’s teams competing in a round robin, with the first place teams advancing to their respective finals, while the second and third place teams meet in semi-finals. TSN will provide coverage of the semi-finals and finals. The total prize money is $70,000 each for men and women, with the winning teams receiving $26,000. In addition to berths into the 2013 Trials, the winners also get invitations to the 2013 World Financial Group Continental Cup. 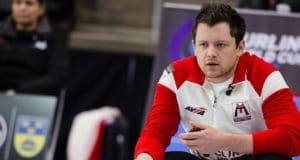 Among the men’s teams are reigning Ford world champion Jeff Stoughton, reigning Olympic gold medallist Kevin Martin and defending Canada Cup champion Glenn Howard. The women’s field includes reigning Scotties Tournament of Hearts champion and Capital One world silver medallist Amber Holland, defending Canada Cup champion and two-time winner Stefanie Lawton, former Ford world champion Jennifer Jones and two-time Canada Cup winner and 2006 Olympic bronze medallist Shannon Kleibrink. 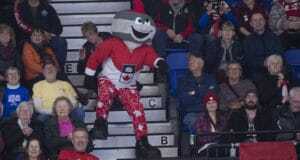 The Capital One Canada Cup is now in its ninth season. It began in Kamloops in 2003 and was contested there through 2008. In 2009 the event moved to Yorkton, Saskatchewan, before being hosted by Medicine Hat in 2010. Since its inception, the Canada Cup has been won by the finest curling teams in the country. Kevin Martin and Randy Ferbey are three-time winners, joining Kevin Koe and Glenn Howard. Shannon Kleibrink and Stefanie Lawton are two-time winners, joining Colleen Jones, Jennifer Jones, Cathy King and Sherry Middaugh.